Awareness/proven experience for safe handling of chemicals, potentially dangerous materials and equipment. Meet quality, quantity and timelines in all assigned projects. Plan & organize scientific experiments under minimal guidance from more experienced team members. Seeks proactively for support and coaching from Project Leader, Scientific Expert or other team members during the whole process if necessary. Optimize existing composition and processes (lab or plant) and develop formulation composition and process (PHAD). Actively transfer procedures/instructions to pilot plant or production, including troubleshooting, process steering controls etc. Communicate and address problems, perform safety and literature searches under moderate guidance from more experienced team member. Collaborate with other team members to facilitate deliveries of DS and/or DP. 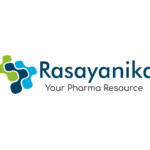 Editor’s Note: Msc Chemistry jobs, Pharma jobs, M Pharma jobs, Pharmacy, Pharma jobs, Novartis, Chemistry jobs at Novartis, Pharma jobs at Novartis,2019, Subscribe to Rasayanika for latest chemistry and Pharma jobs.